Have a question for the Association? Click Here. 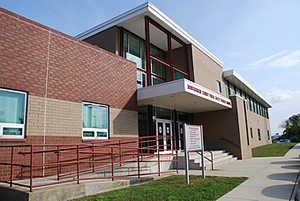 The Montgomery County Fire Academy is located on the Montgomery County Public Safety Training Campus at 1175 Conshohocken Road, Conshohocken Pa 19428. 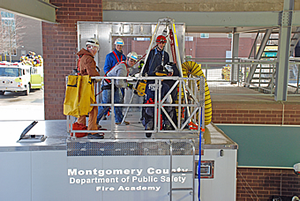 The mission of the Montgomery County Fire Academy is to provide Montgomery County firefighters with training in fire suppression, hazardous materials and rescue. The Montgomery County Fire Academy is designated as a Educational Training Agency (ETA) for fire training programs by the PA State Fire Academy. The Fire Academy is one of only six ETAs in the Commonwealth with designated authority for certification, i.e. the Montgomery County Fire Academy can issue certification that students have attained a level of competency in a specific field (such as firefighting, hazardous materials and rescue) consistent with a national standard for the discipline. For more information about the Montgomery County Fire Academy, including course information in the catalog and the current training schedule, click here. 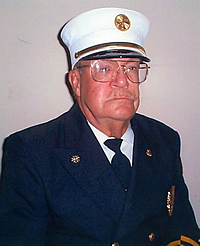 of Blue Bell PA, died Monday October 28, 2013 in the Mercy Suburban Hospital in Norristown after a brief illness.